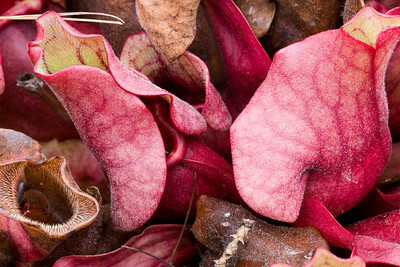 Non-native Sarracenia purpurea subsp. 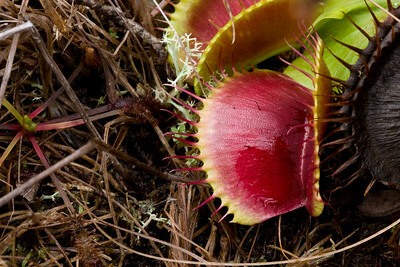 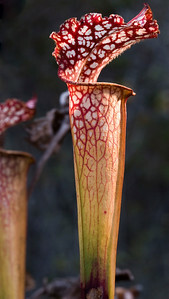 venosa, a carnivorous plant, growing at Albion Bog in Little River, Mendocino County, California. 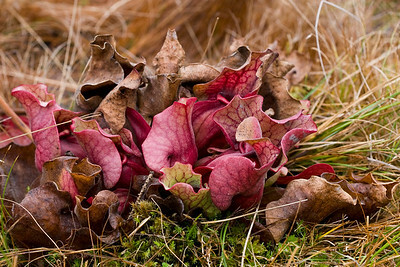 Non-native Sarracenia leucophylla, a carnivorous plant, growing at Albion Bog in Little River, Mendocino County, California. 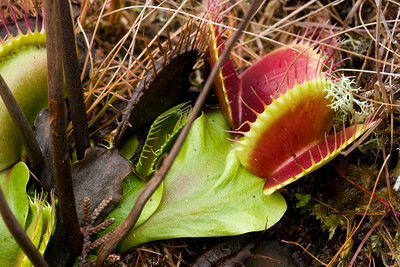 Introduced Dionea muscipula, a carnivorous plant, growing at Albion Bog in Little River, Mendocino County, California. 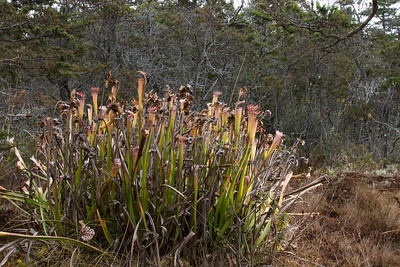 Clump of non-native Sarracenia leucophylla, a carnivorous plant, growing at Albion Bog in Little River, Mendocino County, California.